Hertz began working at the station in 2014 and in that time has proven himself to be qualified to take this next step in his career. "We believe strongly in promoting from within and we were privileged to have an applicant like Jaden," says Barry Schumaier, General Manager and Vice President for the stations. "He's not just a great problem solver, he's a great leader. 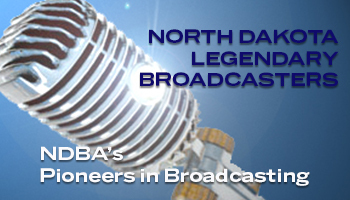 His positive teamwork approach can be felt station wide as we prepare for some exciting changes here at KFYR-TV and West Dakota FOX� changes that will help us continue to thrive in the ever-evolving future of television broadcasting." When asked about the new territory KFYR-TV plans to cover in the coming months, Hertz responded, "In an industry where technology is constantly evolving, having a team to embrace that evolution with you makes all the difference. I'm incredibly grateful for the team I've inherited� each of us thinks differently and has different strengths and skillsets. It's that diversity that makes us smarter, and it's one of the reasons why I'm so confident in the continued success of our stations. I�m excited for this new chapter." When Jaden is not putting out fires or on call, he enjoys spending time outdoors with his family. He and his wife, Sara, have been married nine years and have two children Riley (7) and Edyn (4).